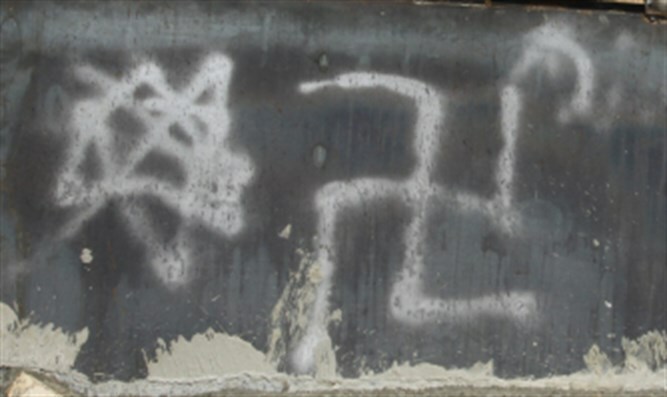 Anti-Semitic graffiti praising Hitler and calling for the genocide of the Jews found on nonprofit building in Washington State. JTA - A building housing community support services and non-profit groups in downtown Spokane, Washington was vandalized with anti-Semitic graffiti. The epithets written in chalk on the side of the building were discovered on Friday morning. Interns for the Peace and Justice Action League of Spokane, which is housed in the building, first discovered the graffiti, the Spokesman-Review newspaper reported on Saturday. The incident was reported to police and the graffiti was covered up, according to the newspaper. Organizations housed in the building said they would remain and continue their work. Racist and anti-Semitic White Nationalist flyers were posted on the building last month.